We are exited to announce the following project-presentations, selected out of more than 80 applications (see here for a shortlist) by our committee of experts consisting of Maaike Behm (ARCAM), Ingeborg van Lieshout (Bright Magazine) and Chris Sigaloff (Knowledgeland/ Kennisland). 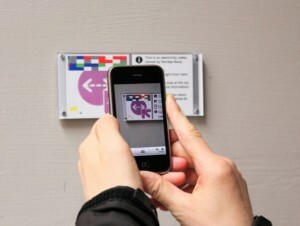 Ambient Learning City is a project that explores how various institutions can make use of digital media to develop new ways to contextualise learning in the city. It is based on the belief that the social city of tomorrow needs to integrate learning and citizenship not learning and certification. The learning model explored in this project re-casts the learning process around social interactions. This has been done through digital story-telling, the participative curation of ‘social objects’ and techniques related to cultural content and personal histories. Amsterdam Wastelands is a project that actively approaches the problem of the lagging urban development of wastelands in Amsterdam and Zaanstad. The project grew out of a group of citizen’s concern for these unused urban area’s. In collaboration with the local administration, they created a number of digital tools that allowed for the temporary appropriation of these vacant lots. Up till now it has led to more than 80 initiatives, supported by a range of mapping and network tools. Apps for Amsterdam was a Dutch, Amsterdam centered application contest where civic hackers were invited to build applications using open data from the city of Amsterdam. To this end the city released a series of datasets and initiated a competition program where developer were invited to submit their civic apps for a chance to win prize money. Alper Çuğun will present a number of outcomes from thel contest as well as some thougts on the next steps for opening up institutions for civic engagement. Give Me Back My Broken Night is a mobile theatre work using pervasive technology that asks audiences to collaboratively imagine the future of their city. Using a combination of location sensitive mobile devices and portable projectors it creates a magical, relevant and cinematic experience for participants. Rachel Feuchtwang and Paul Clarke will discuss how pervasive media and dramaturgical structures can help in envisioning future architectures, present a film clip of the performance, and consider possible applications in enabling public conversations around urban development. 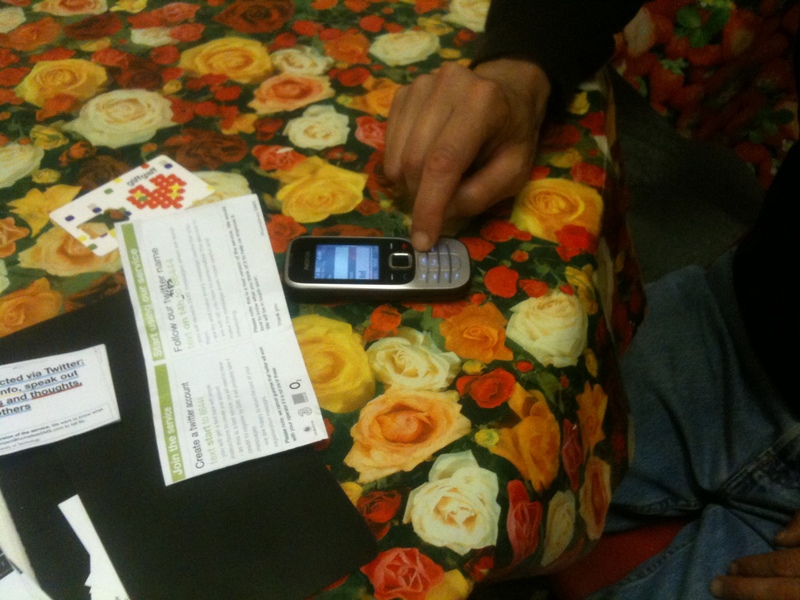 More than 70 percent of homeless people in London own a mobile phone and Homeless SMS is the first service to make use of this untapped resource for their communication needs. The service provides an information network for the homeless based on basic text messaging technology and Twitter. The service empowers homeless people to access information they need, when they need it; it makes them aware of opportunities to participate in, contribute to and enjoy whilst facilitating the exchange of information with their peers, service providers and the general public. The presenters will discuss their experience of co-design practice with and for homeless people as well as appropriation of existing technologies. How can a master plan become an on-­going process informed by instant citizen generated information loops (open-­source) rather than a rigid and detached expert-­driven product? This was the challenge that the Danish project ‘Instant Master Planning’ took on at the Vollsmose housing estate, located in the outskirts of Odense. The project team reports on an iterative planning process, employing digital media technologies as a tool for creating new forms of citizen engagement. 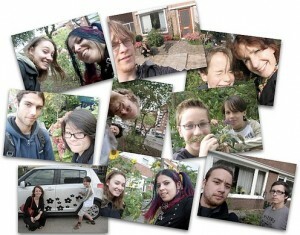 Social game Koppelkiek, (“Couple Snapshot”), was played in a troubled area of Utrecht in 2009. Kars Alfrink (Hubbub) shows us his hands-on approach of applying game elements in the neighborhood. By reaching out he actively engaged the inhabitants of Hoograven, and encouraged greater social cohesion. 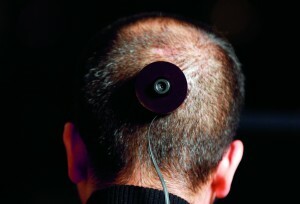 He will demonstrate some of his current projects as well. NetworkLAB has as its mission to create a testing ground where research on the actual effects of new technologies can be put into practice and where assumptions can be tested. They will present two recent projects: a storytelling project at the NDSM wharf where objects were tagged with a newly developed prototag by the TU Delft as well as a project where Pachube was used to organize an issue-community around the debate on air-quality and the maximum speed-limit on the Amsterdam ring road. 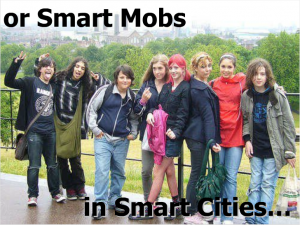 This project explores how best to integrate a radical and potentially disruptive technology in urban realm: how the urban experience mediated trough connected large screens can be designed to augment real world interactions, support communities, and promote and develop culture so as to maximise the quality of the public experience within the urban environment. The project is funded by Digital Economy Programme. Ava Fatah from The Bartlett, in cooperation with partners will present the first outcomes of this cross-city and a cross-UK project. Urbanflow and City Tickets are two interfaces to the same backend municipal systems, and different approaches to many of the same thoughts. 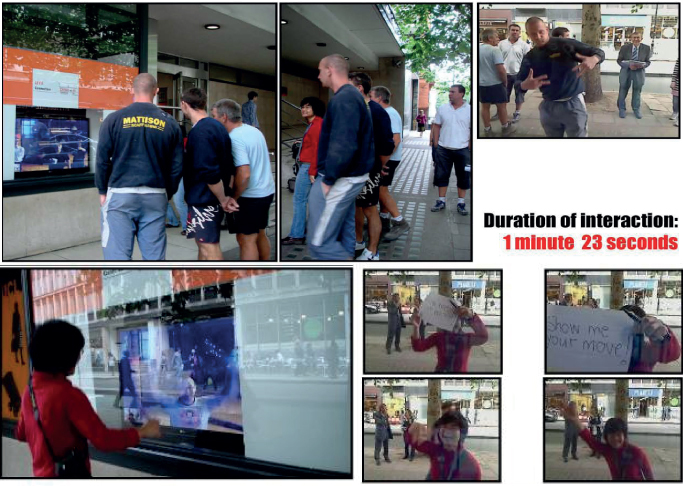 Urbanflow is an answer to the question of what should go on situated urban screens. By combining pedestrian-oriented cartography, wayfinding, and journey-planning tools with local service discovery and citizen responsiveness tools, we’ve designed them from the ground up to be useful… and used. 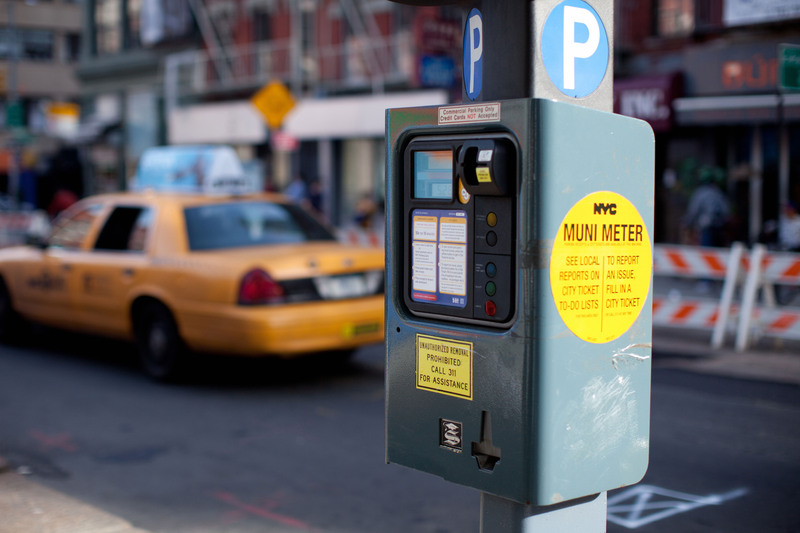 City Tickets asks how existing pieces of real-world urban infrastructure – specifically, pay-and-display parking meters equipped with power, a network connection and a printer, such as NYC’s Muni Meters — might be reimagined as entry points to citizen responsiveness systems such as 311. This makes the most of a city’s existing investment in networked systems by bringing its dialogue with citizens to the place where it is immediately relevant: here and now, on the sidewalk. 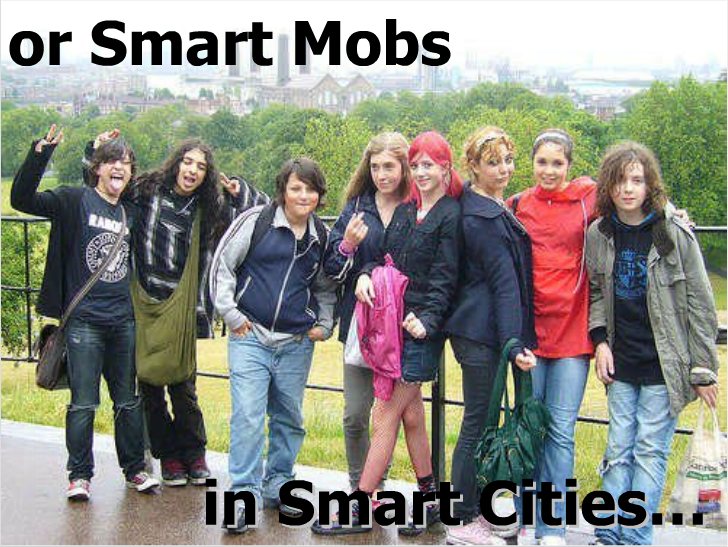 Karli Scott will show how existing community networks can be utilized to fulfil a city’s planning goals. 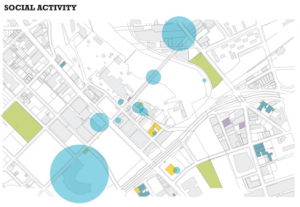 In her project Urban Revitalization of Social Capital she analyses social conditions in the cities of Rochester and Utica (NY) by mapping qualitative data sourced from the community and web applications. She will present this methodology as a way to make use of data collection and analysis for urban redevelopment. Joshua Noble and Mac Oosthuizen will present UrbanISO, a project that envisions opening the characteristics of data feeds from urban sensors, and in extend create opportunities for commercial and civic engagement in urban spaces. Urban Sensors can be anything in their idea: from traffic density sensors to air quality indicators to cell signal strength measurement. They are aiming towards a standard to describe and allow access to every urban sensor. While in the main program we only had room for 12 projects, our jury was impressed by a large number of submissions. We have therefore compiled a shortlist of showcases that were not featured at the conference, but which we think deserve your attention as well.